Whenever someone is naked in public, there are so many questions: When did the clothes come off? Is there a stash nearby? And why would someone decide to crawl around in the ceiling of an airport bathroom in his birthday suit? State police in Boston have arrested a man who fell through the ceiling of a women’s bathroom at Logan Airport, and then allegedly assaulted an elderly man outside the restroom. While one might think that being free to frolic unfettered by clothing would make a person all sweetness and light, police have charged a 26-year-old man with attempted murder, mayhem, assault and battery on a person over 60, assault and battery on a police officer, lewd and lascivious conduct and malicious destruction to property after a bizarre incident in the buff on Saturday, reports the Associated Press. 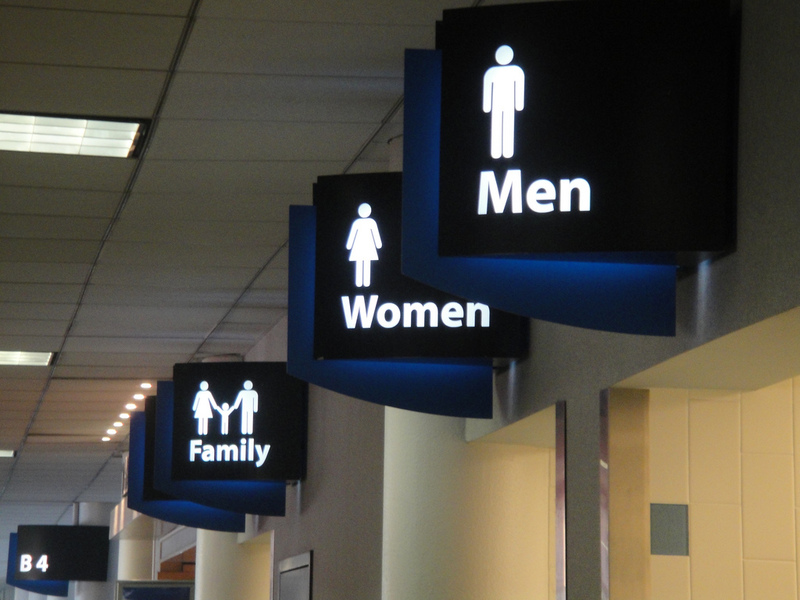 A woman using a restroom located before the security checkpoint reported that the sky was falling and with it, a naked guy who dropped from the ceiling into the stall area, a state police spokesman said. It seems he’d slipped into the bathroom, stripped down and hitched himself up into the crawl space of the bathroom, before it came crashing down. He then ran from the restroom and allegedly assaulted an 84-year-old man he ran into, biting his ear and reportedly trying to choke him with the man’s own cane. Troopers arrested him in a bit of a scuffle, leaving one of the officers with a hand injury. The elderly victim of the assault was taken to the hospital to have his ear treated.